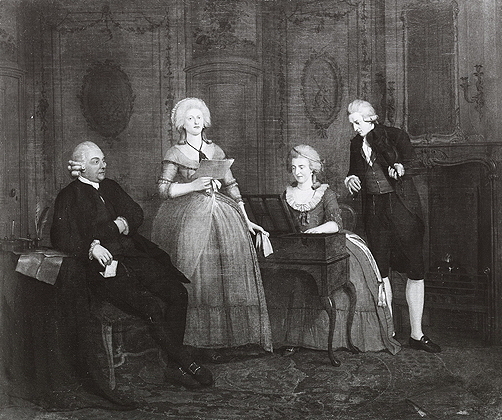 Ekels, Jan II, Portrait of an Unknown Family, 1785. Ekels, Jan II, Portrait of an Unknown Family, 1785. Oil on canvas. Whereabouts unknown (sold Sotheby’s, Amsterdam, 16 November 1994, lot 84). 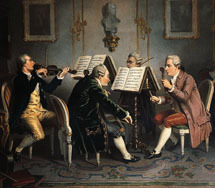 Dequevauviller, François Nicolas Barthélemy, Gathering at the Concert. Attributed to Sigmund Freudenberger. Duet for Violin and Harpsichord.